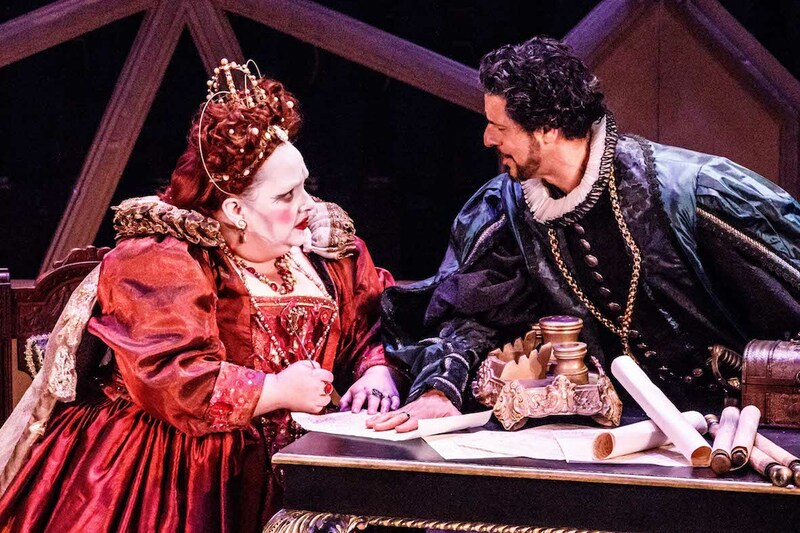 In yet another triumph, Melbourne Opera not only presents a superb evening of bel canto opera, but also corrects a long-standing arts omission by staging the Australian premiere of Donizetti’s Roberto Devereux. 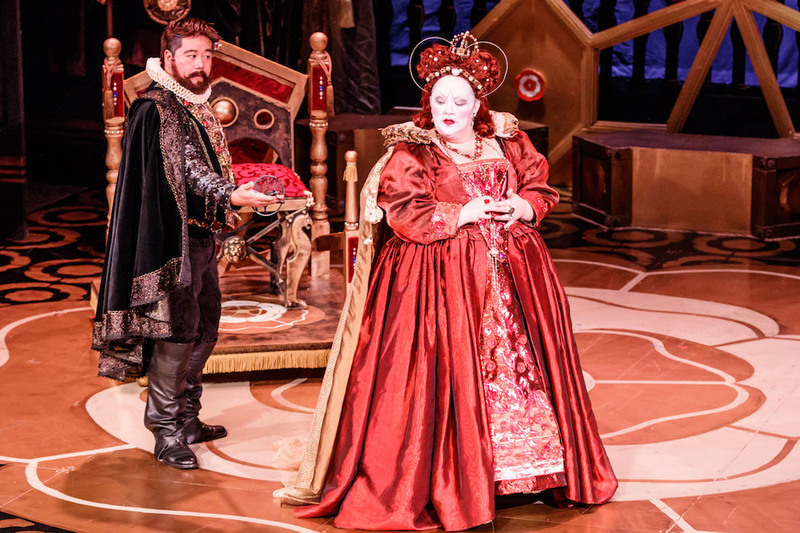 Roberto Devereux completes Melbourne Opera’s ambitious three-year project to present the full “Tudor Trilogy,” three operas that were grouped as a set by New York’s Metropolitan Opera in the 1970s as a starring vehicle for soprano Beverley Sills. Soprano Sondra Radvanovsky recently performed opera’s “triple crown” for the Met’s 2015-2016 season. 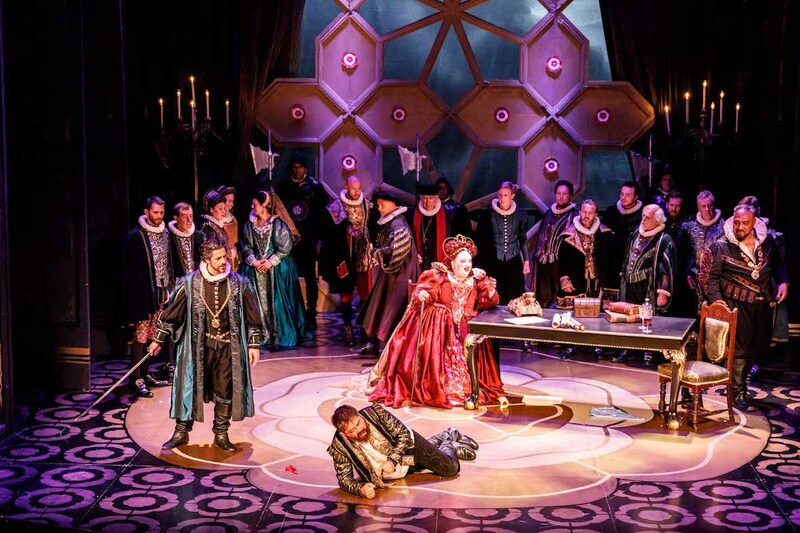 Melbourne Opera presented Mary Stuart (Maria Stuarda) back in 2015, introducing the handsome designs (by Christina Logan-Bell) and glorious costumes (courtesy of Opera Australia) that have been utilised in each of the three stagings. Having played the title role in Mary Stuart, soprano Elena Xanathoudakis returned in 2016 for Anna Bolena, another splendid evening of bel canto opera. Fresh from her acclaimed Australian return in Melbourne Opera’s Lohengrin (just three months ago), soprano Helena Dix gives an extraordinary lead performance as Elizabeth I in Roberto Devereux. 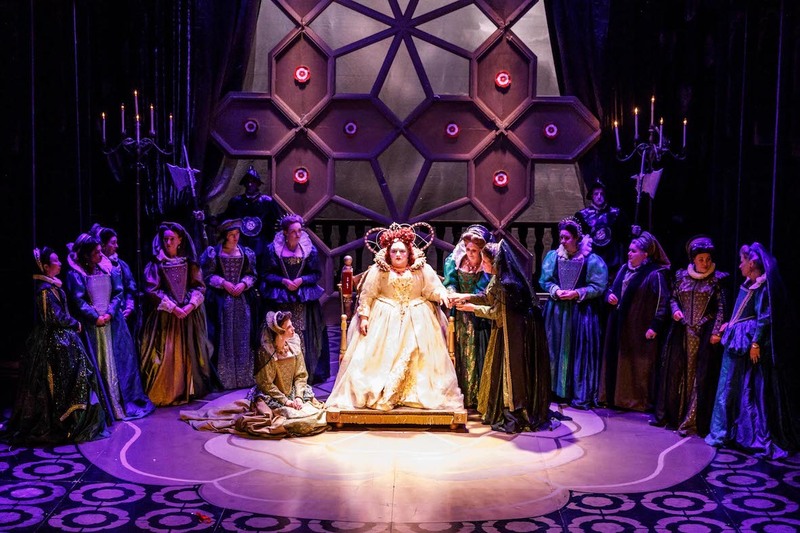 Making a seamless transition from singing Wagner in the cavernous Regent Theatre to singing this fiendishly challenging gem of the bel canto repertoire in the more modest Athenaeum Theatre, Dix proves a star attraction indeed. Delivering meticulously polished phrasing and carefully considered dynamics, Dix’s delivery ranges from fiery bravado to exquisite tenderness. Dix’s breath control and vocal support are so strong that at the evening’s end there is the impression that she could go back to the beginning and sing the role all over again. Which is not to say that Dix did not appear to put everything she has into her performance; her talent and commitment are evident in abundance throughout the opera. In addition to the pleasure of her vocal performance, Dix brings an amusing angle to the Queen’s character in her coquettish anticipation of Roberto’s return and her casually imperious dismissal of underlings. 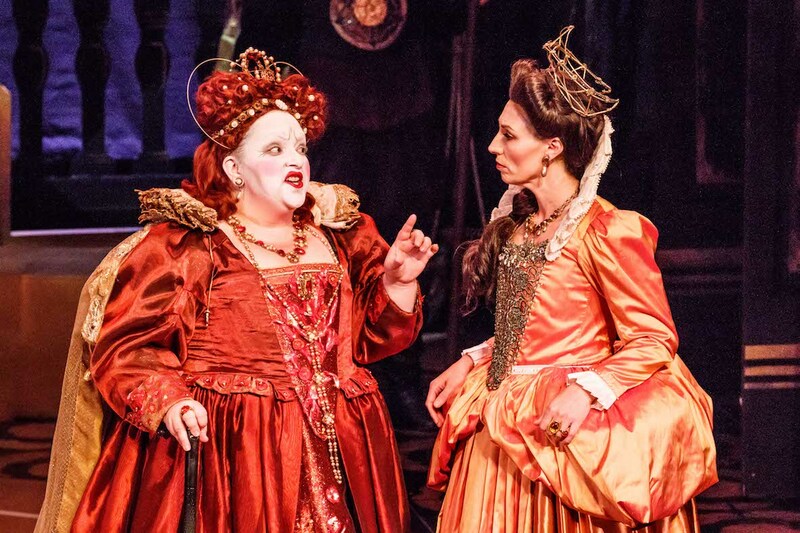 The title character of Roberto Devereux is the Earl of Essex, on charge for treason and, more significantly to the opera’s plot, the vertex of a tempestuous love quadrilateral. Queen Elizabeth finds herself feeling love towards Roberto, who already shares love with Elizabeth’s dear friend Sara, whose jealous husband is Duke of Nottingham. Acting on her simmering envy, Elizabeth has Robert put to death, a move that brings a frenzied outpouring of grief and regret once the deed is done. Director Suzanne Chaundy again her displays her wisdom and insight, helming a staging that is enjoyable and affecting. Chaundy makes very good use of the chorus to dress the stage, creating a royal court that is both functional and believable. Chaundy finds the authentic human emotion at the heart of the story, eschewing melodrama for naturalism. This sense of realism makes Elizabeth’s mad scene all the more compelling; the audience is as shocked as the court when the Queen tears off her wig and breaks down. Logan Bell’s bold designs again make the Athenaeum stage look impressively grand. A clouded blue night sky outside’s Sara’s apartments is an attractive and atmospheric touch. 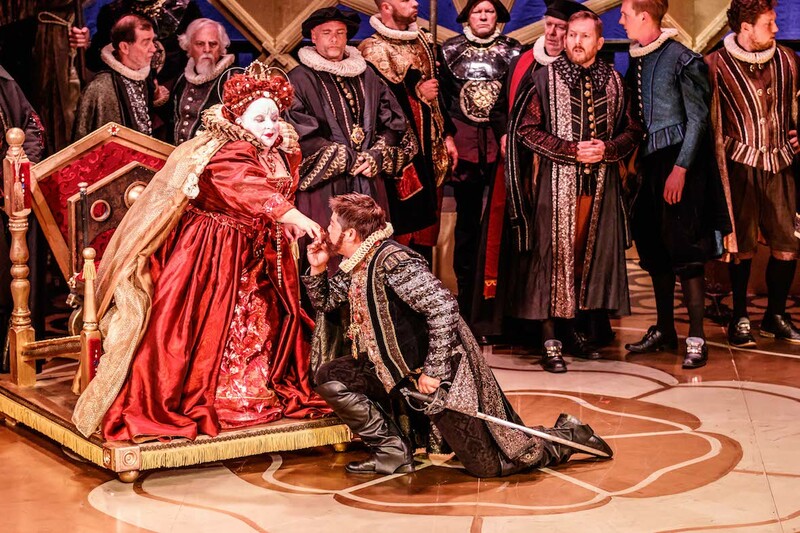 The through line of the Tudor rose in the three operas has been a striking motif, expertly used. There is virtually endless appeal in the glamorous sheen and intricate detail of the period costumes, originally designed by Jennie Tate. Excellent work in wigs and make-up across the full company completes the picture. Maestro Greg Hocking presides over a strong showing from the Melbourne Opera Orchestra. While there is the odd note or beat to be tightened, there is certainly no sense that is an unfamiliar work receiving its Australian premiere. Raymond Lawrence provides reliably precise preparation of the Melbourne Opera Chorus. Donizetti’s music is nothing short of superb, and is heard in its best light when the orchestra and company are in full flight. While each of her co-stars is a proven performer in their own right, there is a sense that Dix’s performance level has nudged the overall standard even higher. Tenor Henry Choo is in fine voice as tormented lover Roberto. Sporting the beard of a prisoner, Choo projects a masculine presence and conveys Roberto’s torment with potent, yet neatly understated, flair. 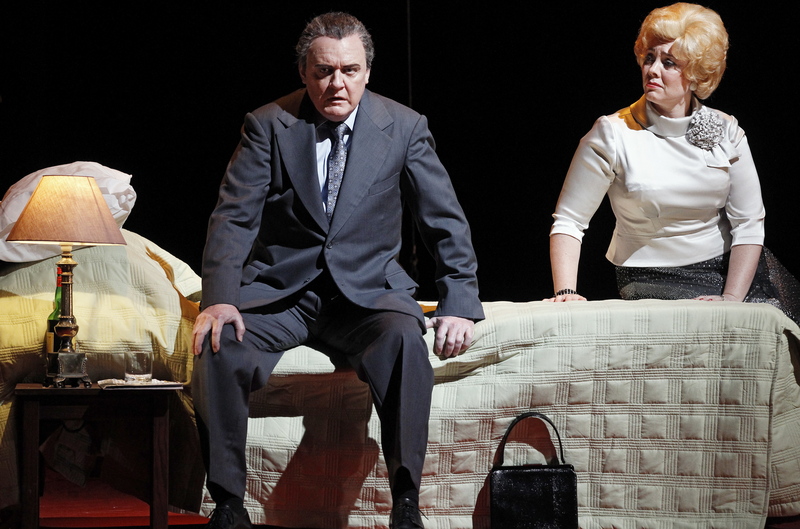 The shimmering colour of Choo’s lustrous vocal tone is well served by Donizetti’s music. As Roberto awaits his death in the Tower of London, Choo delivers virtuosic work with his final arias “Like an angelic spirit…With my breast bathed in tears” (“Come un spirit angelico…Baganto il sen di lagrime”). In an exacting and elegant performance, soprano Danielle Calder sings with golden beauty in the less showy, but equally significant, role of Sara. Matching her vocal quality with the strength of her acting, Calder presents Sara as an attractive, well-presented woman who suffers with the secret torment of her illicit love for Roberto. 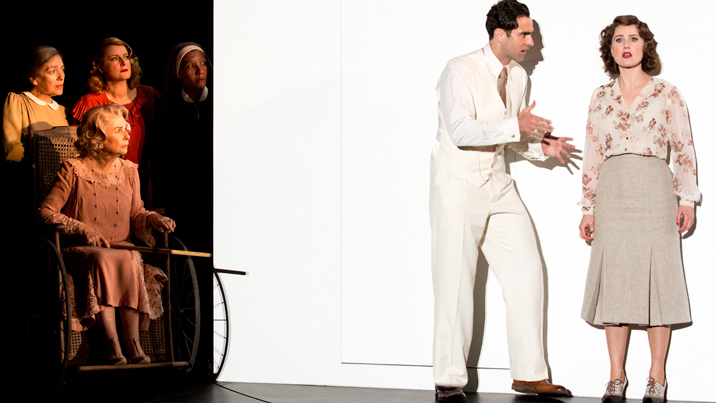 Calder and Choo shine together at the end of act one as Sara and Roberto profess their love yet plan to part, culminating in the truly lovely duet “Since you returned, ah miserable me!” (“Da che tornasi, ahi misera”). Baritone Phillip Calcagno again delivers a commanding dramatic performance as Duke of Nottingham, an ostensibly villainous character who, in Calcagno’s capable hands, simply believes he is in the right. Invaluable Melbourne Opera regulars Jason Wasley and Eddie Muliaumaseali’i each provide sterling support in featured roles. Melbourne Opera Chorus members Finn Gilheany and Adam Jon prove themselves more than admirably in cameo appearances. 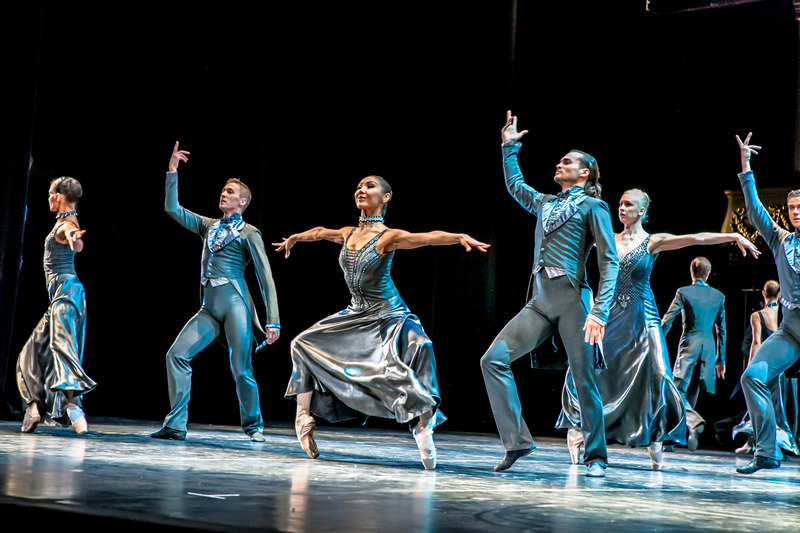 With their consistent high standards and popular, yet adventurous, repertoire, Melbourne Opera holds a unique and precious position on the Melbourne arts landscape. Based on their wonderful success in 2017, Melbourne Opera’s 2018 season is eagerly anticipated. In the meantime, lovers of opera should not miss this opportunity to enjoy Roberto Devereux. Roberto Devereux plays selected dates at Athenaeum Theatre, Melbourne until 18 November 2017.